Embracing Cottage Style: New Blog Party! I love this party. It should include posts to showcase items you work on (sorry no selling sites allowed), your craft space, organization tips, tutorials, supply tips, anything that'll be inspirational, creative, and fun. As the other parties this is a week long fun fest for all to enjoy, so invite your friends and family to come on in and visit everyone's craft room and link in to join the party!! I hope you're having a happy day!!! Glad to be a part of this! I'm looking forward to catching up with some of your lovely and inspiring blogs! Your parties look like so much fun! Wish I had a craft room or that I was making things, but right now, I've been busy. 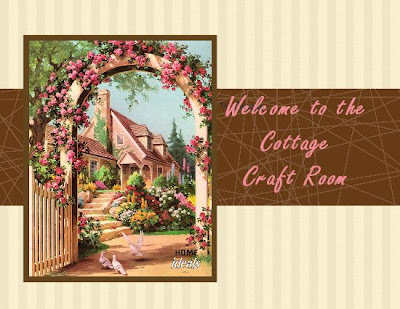 I finally got my store online, and many thanks to the members, my wonderful friends, of Etsy Cottage Style, for their support and encouragement, and great tutorials! 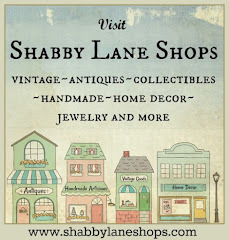 I have our badge on my blog!